One of the programs that we offer is Vestibular Rehabilitation therapy. Today we’re going to talk about VRT, what it is, who gets vestibular disorders and how they can benefit. Seniors who lose their balance lose their independence. Vestibular Rehabilitation Therapy is exercise-based therapy designed for patients with balance, dizziness and vision issues. Vestibular problems such as vertigo, dizziness or vision problems can be a frightening and dangerous experience: almost half of the population has experienced dizziness at one time or another. Age seems to exacerbate the condition since dizziness is the most common reason for a doctor’s visit in the elderly (>75); however, children can also experience dizziness, which can diminish the joys of childhood by limiting movement, and therefore fun. Balance is the result of a cooperation between the inner ear, the eyes, and the muscles and skin of the body. Eyes orient the person in their present location. The inner ear senses movement, turns, and other motion. The skin, muscles, and joints of the body ground a person in the physical realm by allowing them to feel where they stand and walk. Any discrepancy in one of these components creates a disturbance in the balance system. It may even be caused when one of these components fails, and the others try to compensate. A physical therapist trained in VRT can coach a vestibular patient with exercise-based therapy. Vestibular problems can develop as the result of some issues: a condition with the inner ear, a concussion, brain injury or stroke, certain diseases, and long-term and progressive disorders. VRT offers hope for these patients. and although it is often under-utilized, it's becoming more recognized, according to the Vestibular Disorders Association. While dizziness may not be eliminated with VRT, thanks to VRT training, it’s possible to decrease the sensory symptoms. 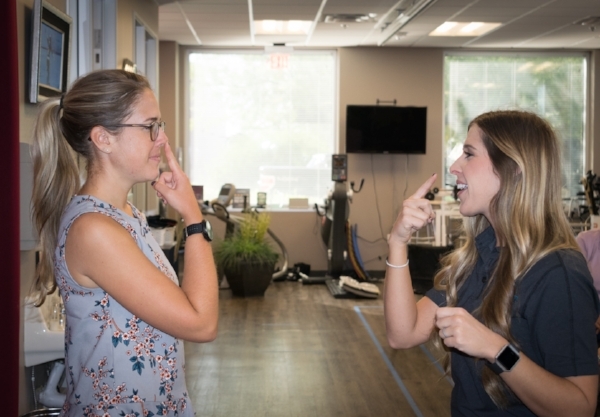 Think of VRT as a program, much like astronauts preparing for their role in space, but one where patients with vestibular problems can be trained to minimize the impact of their symptoms. If balance and coordination are improved, then secondary issues such as nausea, fatigue, anxiety, lack of coordination can be minimized, and the result is that the patient has more control, which reduces the potential for falls. While everyone who has vestibular problems may not benefit from VRT, it is indeed worth the effort, since the results are so positive. The result of this ongoing VRT is better neuromuscular coordination and better balance, especially when the patient is moving. VRT can be useful after only a few sessions or may require a much more extended period, depending on the problem and needs of the patient. But VRT is an excellent option which often provides results for patients who have an ongoing vestibular condition, regardless of the cause.